One thing that marks the end of the summer and the beginning of fall here in New Mexico is the smell of roasting green chile. 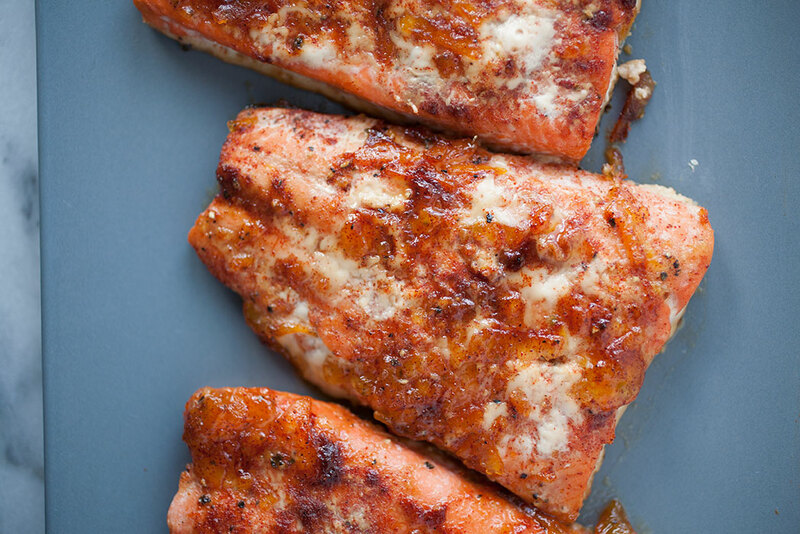 It’s one of those scents that marks the change in season and it promises sweet, flavorful, buttery, charred heat—it’s so good. That’s why I’m capturing the Hatch chile harvest in a recipe for Fajita-Stuffed Hatch Green Chile! 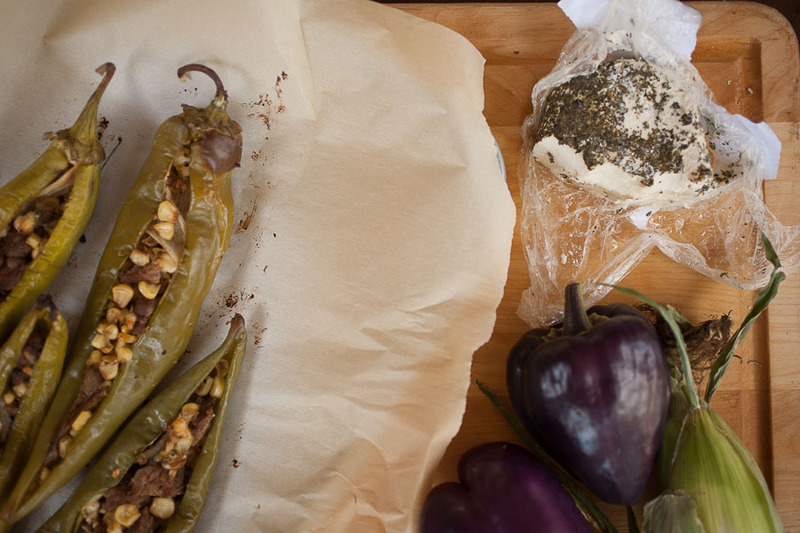 If you can find Hatch chile in your local store, you really have to try it! It’s not just heat (and if you can find mild, there won’t be much of that anyway). Hatch chile really has a unique flavor, buttery and sweetly peppery, almost like a spicy bell pepper, but with a bit more tang. Just for fun, I also used all local New Mexican ingredients to celebrate the end-of-summer harvest: the steak is from Sweet Mercy Farms, peppers from Red Tractor Farm, sweet corn from Schwebach’s and the onions from an unnamed booth. 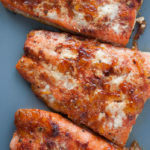 This recipe has minimal ingredients and comes together quickly. You’ll have a warm, delicious harvest-time meal in under an hour! It’s certainly not something you have to do. It’s just a lot of fun for me, especially because we’ve made it a habit to go to the farmer’s market every Saturday morning and I’m like a kid in the candy store! And if you can’t get Hatch green chile, a mild green, large green chile like Anaheim or poblano will work just as well! 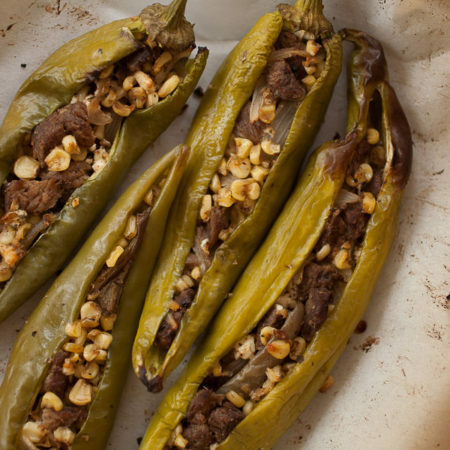 In fact, Anaheims were developed from Hatch green chile, so you’ll get a similar result (they’re just not quite as flavorful). We have a law here in New Mexico that to be labeled Hatch green chile, it has to be from Hatch New Mexico, so make sure you look for the real thing if you can! 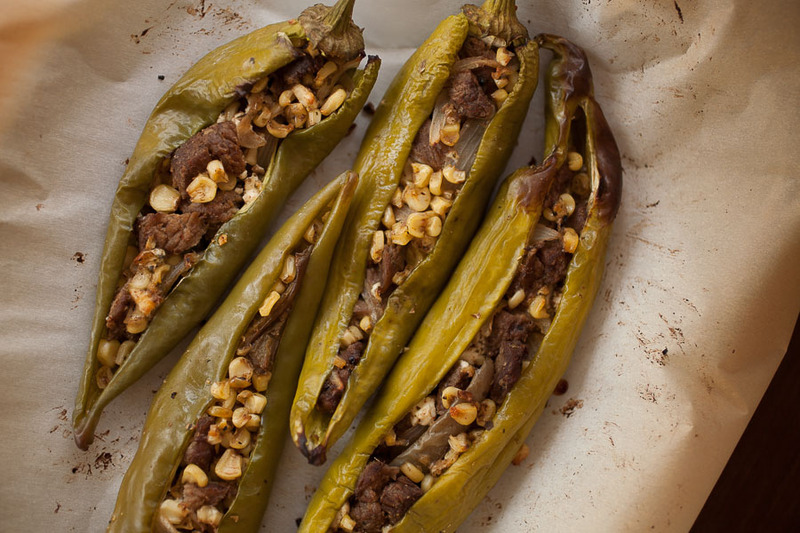 Fresh harvest ingredients make a delicious filling for this recipe for fajita-stuffed Hatch green chile--it's a taste of New Mexico for dinner! Chop the steak into short, thin strips. Chop the peppers and onion into strips and finely chop the garlic clove. Place the large end of the ear of corn into a bowl and cut off the kernels. Heat a tablespoon of olive oil or other neutral oil into a pan over medium to medium-high heat. Saute the onions and garlic until translucent, then add in the steak, peppers, and corn. Add the spices. Sauté until the outside of the steak is done, but the inside is still red. Remove the filling into a bowl and mix with half of the cheese. Cut open the chile peppers, but don’t cut the top off. Carefully remove all the seeds. WARNING: Do not touch your skin after handling the chile pods or seeds, especially your eyes, because it will burn you! Wash your hands thoroughly before you touch anything else, or use gloves like I do. 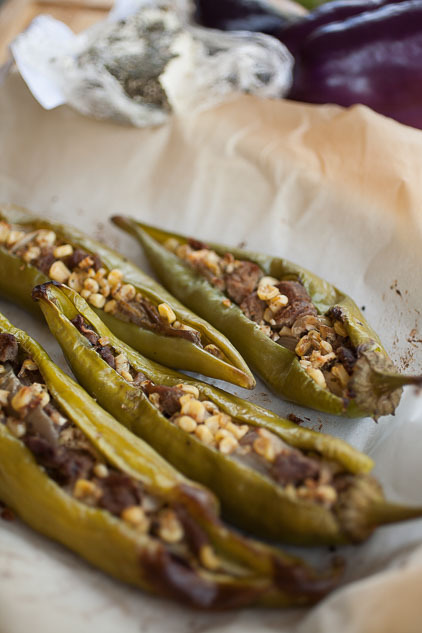 Place the peppers onto a foil-lined pan and spoon the filling into the peppers. 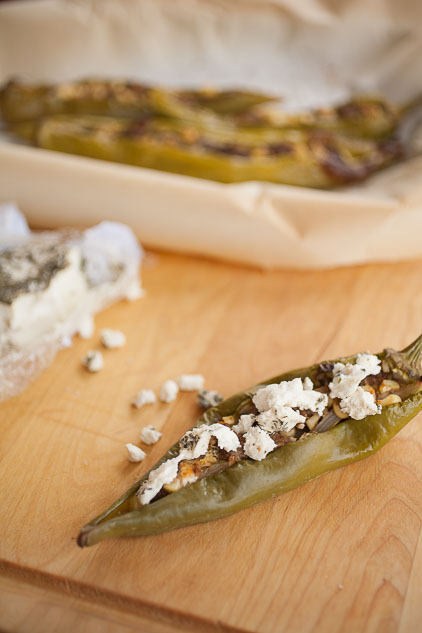 Place the peppers into the oven for 30 minutes, or until the peppers are soft and the cheese has browned and/or melted. Take out of the oven and sprinkle the rest of the cheese on top before serving the peppers. Wherever you get the ingredients, and whatever ingredients you choose to include, these fajita-stuffed Hatch green chile peppers are the perfect way to use up all the late-summer harvest goodies! There won’t be a new blog next week because we’re moving, but I’m really excited to share the recipe going up the following weekend, so make sure you check back. It’s (just about) officially summer, and I don’t know about you, but I definitely love my Popsicles when it’s so stinking hot outside. Heat and me? We don’t get along well, so anything that will cool me down is great in my book, but if it’s sweet? Just a bonus! 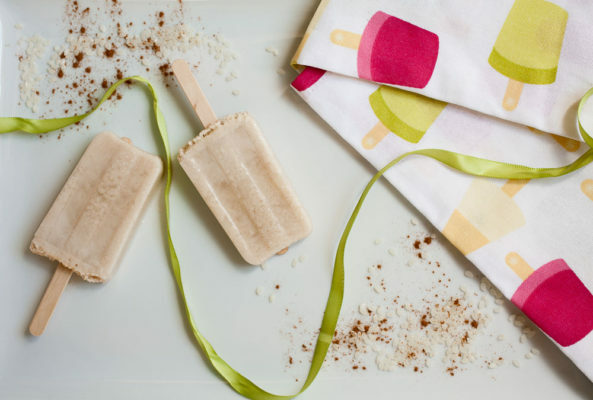 So, continuing on the New Mexican theme, these horchata Popsicles are absolutely perfect for really hot summer afternoons and evenings. The only issue is that there is a bit of a wait, first for the horchata (it needs to sit overnight if you’re making it from scratch) and then another wait for the Popsicles to freeze. It’s completely worth the wait, though! If you’ve never had horchata, it’s a sweet, creamy Mexican (and New Mexican) treat made with rice milk, almonds, cinnamon, and some kind of sweetener. My husband grew up drinking it and it’s really so refreshing served ice cold. 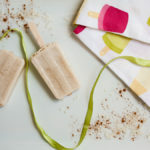 Which is why as a Popsicle it’s a creamy, dreamy summertime treat with a nice touch of cinnamon! As far as molds go, you can really use anything. I bought the mold for these Popsicles at Williams Sonoma last year, but your manner of Popsicle is completely up to you! (By the way, did you know that Popsicle is actually supposed to be capitalized? It’s not a generic word—it’s actually trademarked word. Even as a writer, I had no idea…). As for the recipe, I based it off of this recipe from Nosh On.It because I didn’t have one of my own. Also, full disclosure, I did not make the recipe completely from scratch. My spice grinder is broken and I just don’t have money to get another one. My solution was to buy rice milk. I also added some almond/coconut milk creamer to make the recipe thicker to help ensure the Popsicles wouldn’t be too watery. I also made the sweetener optional because, as I tested one batch, I realized I had completely forgotten to add the honey and yet, they were sweet enough without! However, I don’t like anything super sweet, so I’m not a great judge. Thus, honey is optional. Finally, the recipe calls for straining the recipe through cheese cloth. I would really go for cheesecloth versus straining it through another type of strainer or even a fine-meshed tea strainer. 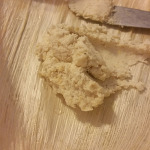 I tried it both ways and the cheesecloth was the only way to get the really fine particles out of the mixture. 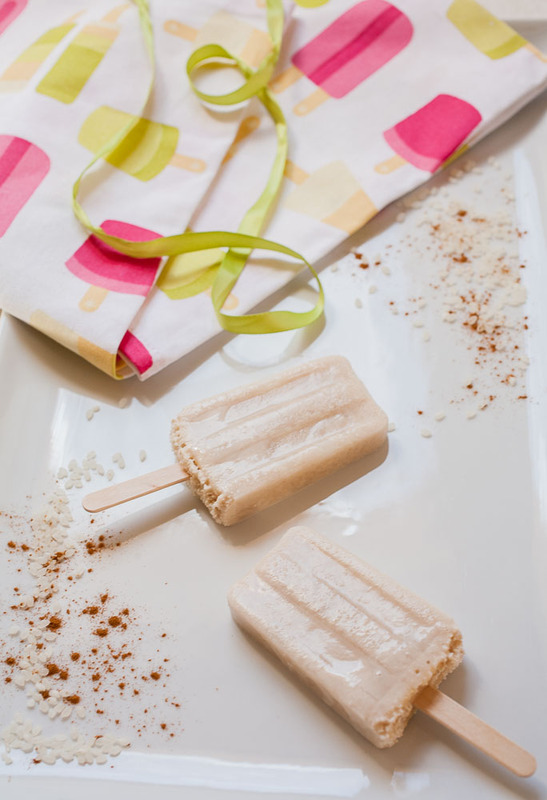 These homemade horchata Popsicles are a creamy, dreamy summertime treat, perfect for cooling you down on hot summer days! Blanch the almonds by blanching them in boiling water for a minute, then rinsing them immediately under cold water (you can also dump them into a bowl of prepared ice water). Pinch each almond between two fingers and they should slip right out of their skin (fun, huh?). Cook the almonds in a dry skillet over medium heat, moving them continuously, until they’re lightly toasted. Pour the almonds, the rice milk, the cinnamon, creamer, and 1 cup of hot water into a large jar or bowl. 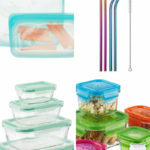 Let cool to room temperature and then put into the refrigerator to soak overnight (at least 10 hours). Pour all of the contents of the bowl into a blender and blend on high speed until it’s completely blended and smooth. Drape cheesecloth over a pitcher or large measuring cup and strain the mixture. 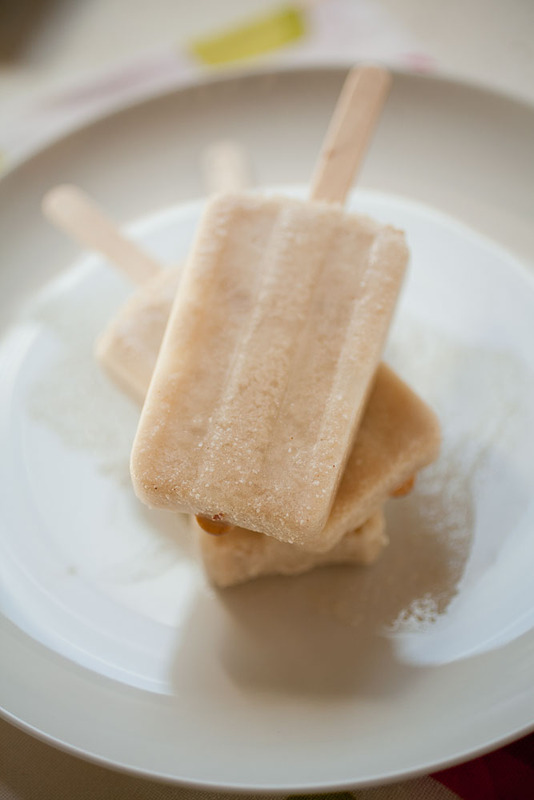 Pour into Popsicle molds and freeze for at least 4 hours, or overnight. If you follow me on the Flurries of Flour Pinterest, you may have noticed that I love breakfast. I may even have mentioned it before, possibly in my baked oatmeal recipe, but I can have breakfast for breakfast, lunch, dinner, and in-between. I’m always up for pancakes, waffles, egg-and-cheese muffins, toast, scrambled eggs, potatoes and peppers, pastries—it’s all good to me. 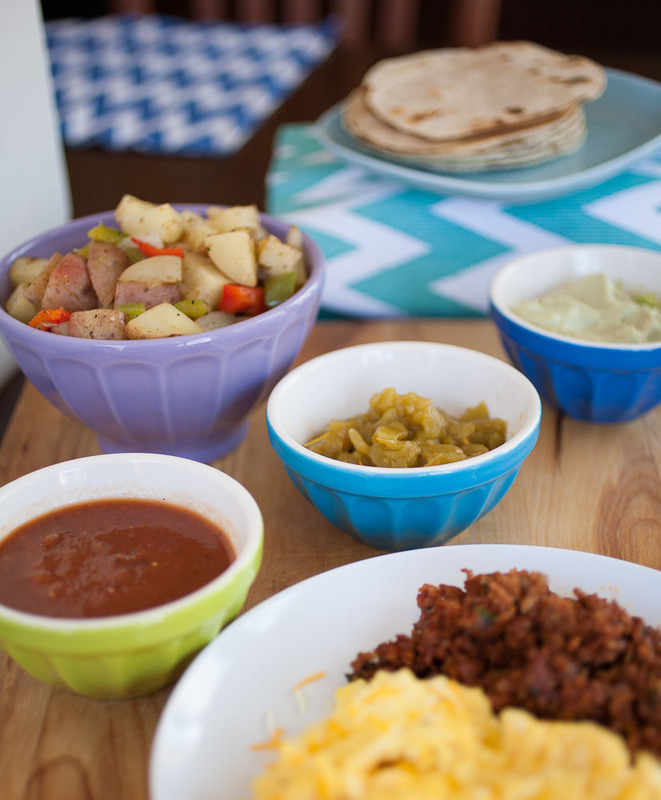 When I married my husband, he introduced me to a whole new variety of breakfasts: New Mexican! 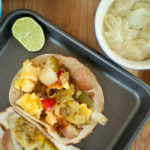 Not that I didn’t love my breakfast burritos, but even though I mostly grew up in New Mexico, coming from an East Coast family, I didn’t really have much experience in the way of New Mexican breakfasts. 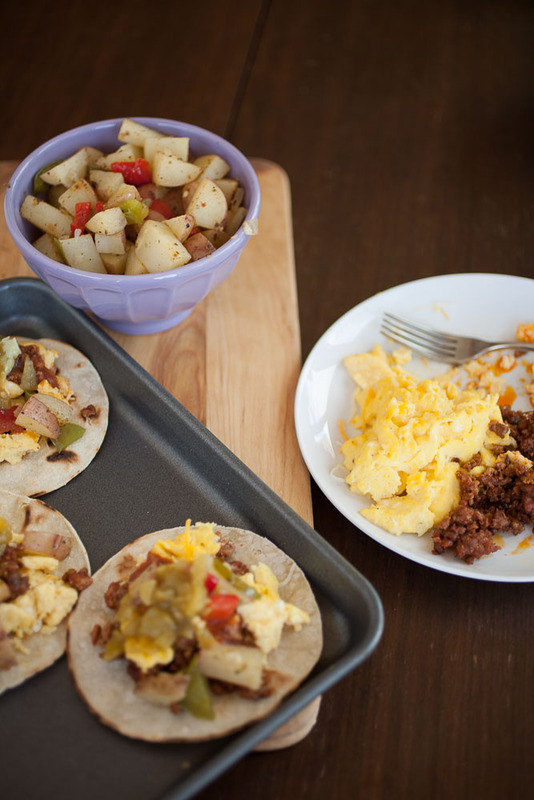 Thankfully, I don’t have that problem anymore, and I love these breakfast tacos. They’re full of soft, fluffy eggs, crispy bits of chorizo (or bacon), potatoes topped with melting cheeses, a creamy, slightly sweet and cooling avocado cream sauce (my addition), and, of course, green chile! 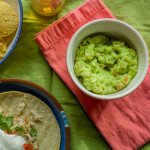 We use Hatch green chile that we roast in August and keep in the freezer (you can also find it in the frozen section of Trader Joe’s, I believe, as well as in cans), but you can use other types of chile like Anaheim. 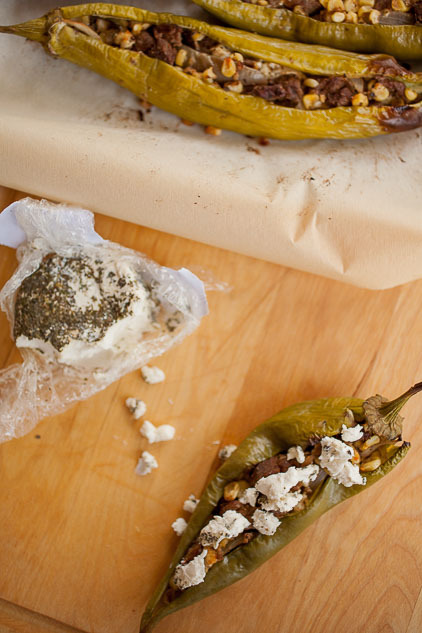 The Hatch green chile is really what makes it New Mexican, though, and gives it that authentic taste. 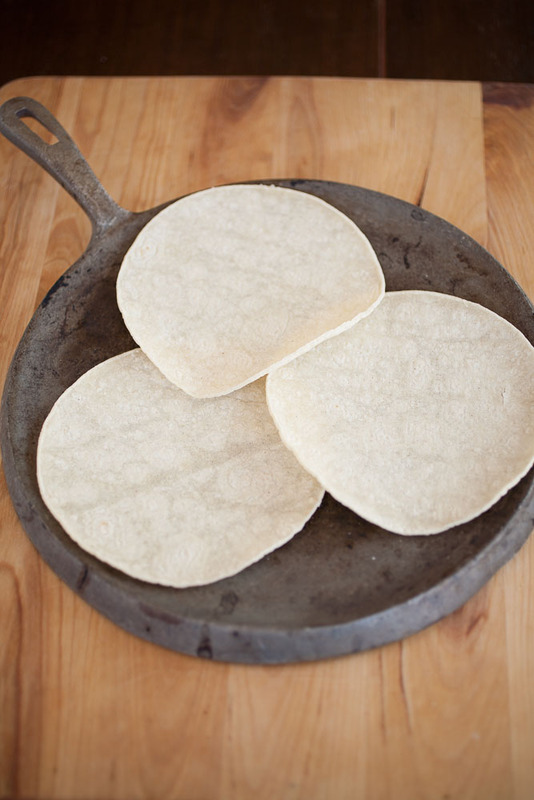 If you see this in photos, by the way: this is a comal. It’s a flat griddle used to cook and heat tortillas (and maybe some toast every once in a while…). It was given to us by my husband’s mom and I’m not sure how old it is. Also, while you can make potatoes just for this recipe, my husband usually makes his perfect brunch potatoes that I featured on the blog last week! 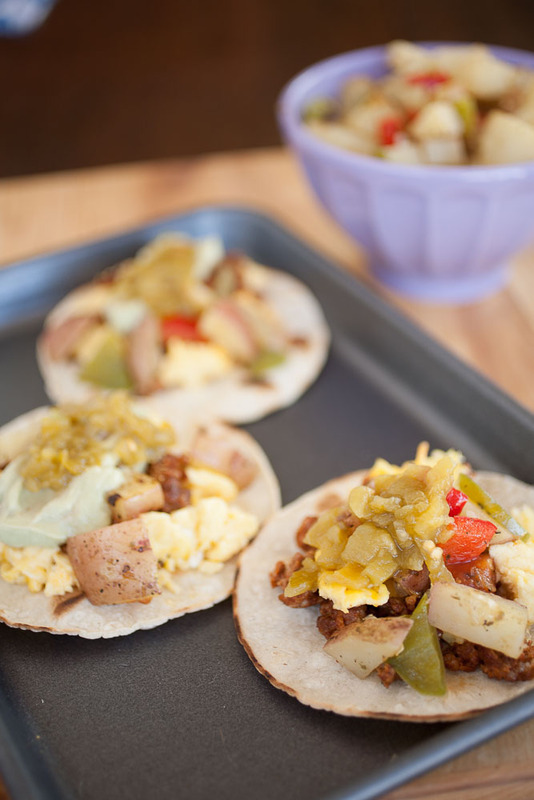 This breakfast is completely delicious, completely satisfying, and comes with a little New Mexican kick to get your morning going! 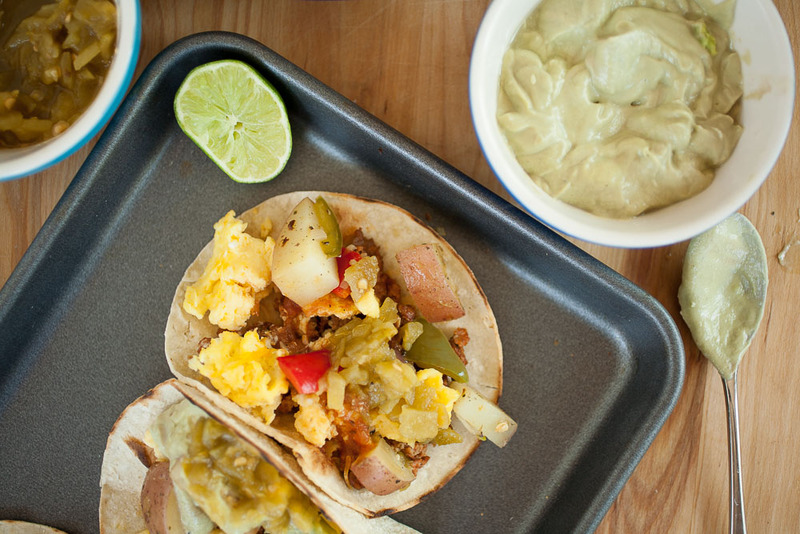 This breakfast is completely delicious, completely satisfying, and comes with a little New Mexican kick by way of Hatch green chile to get your morning going! Heat a pan over medium heat with 1 tablespoons of olive oil. Sautee the chorizo in the pan until cooked through. Take the chorizo out of the pan and place onto a plate lined with a paper towel and set aside. Alternately, you can cook the bacon any way you choose. While the chorizo is cooking, make the avocado cream sauce. Combine the avocados, coconut milk or Geek yogurt, and salt in the blender and blend until a smooth cream forms. You can add more coconut milk or yogurt if you want a more creamy consistency. Set aside. Crack the eggs into a bowl with the milk, salt, and pepper and whisk until a froth forms. Heat an oiled non-stick pan over medium heat and pour the eggs in. Keep stirring gently until the eggs are soft, fluffy, and curds are sticking together. Heat a pan over medium heat. Heat the tortillas until warmed through and slightly colored. It’s assembly time! Place the tacos onto a serving plate or platter. Spoon over the eggs, bacon, potatoes, then sprinkle the cheese and green chile on top, then drizzle over the avocado cream and salsa on top. And you have a completely satisfying breakfast! Believe me, it’s a fantastic way to start your day, especially if it’s a lazy Saturday morning or Sunday brunch! Enjoy, and ‘till next time! So Cinco de Mayo is coming up (can you believe May starts on Friday?!). We don’t really celebrate it because 1) it’s a Mexican holiday vs. New Mexican, and 2) I’m not the biggest fan of going out and dealing with a lot of crazy (and probably drunk) people. So yeah. 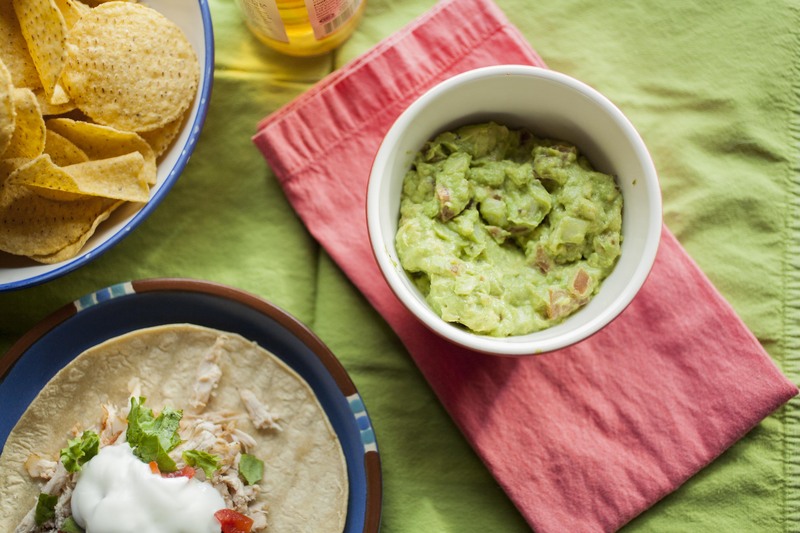 But, for those who want to celebrate at home or have a party to go to (on May 5th or any other time), here is an incredible recipe for fresh, flavorful, and delicious guacamole! 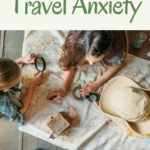 Blogging is on again, thanks to my dear, wonderful, brilliant husband who was able to figure out a solution to my blog issue. Yay! 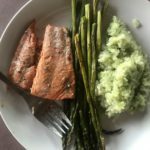 This isn’t a recipe; it was a spur-of-the-moment decision to document a generations-old process, but that means the quality of the photos isn’t great. I ended up taking them with my phone because it didn’t even occur to me to bring my camera with me. 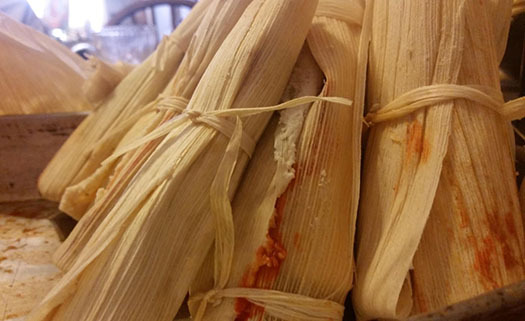 Tamales, as in many states with close ties to Mexico and its culture, are a traditional food in New Mexico. This is especially true around December and the holiday season where you’ll see them everywhere from supermarkets to swap meets.